Only applicants with professional independent lighting design experience will be considered. The candidate must be able to present a portfolio of work that demonstrates both creative/technical knowledge and skills associated to lighting design. Remuneration will be commensurate with experience and includes bonus opportunities. The Dubai position enjoys a tax free environment subject to personal taxation circumstances. We are currently looking for a Designer to join our Dubai and Oxfordshire Studio. The role will involve being part of a design team and providing support in the production of concept presentations, layout drawings and details, specifications etc. with the opportunity to progress within the Practice. Applicants should have excellent AutoCAD and Photoshop skills. An understanding of InDesign, Visualisation programmes and other lighting related packages such as DIALux, and BIM/Revit would also be advantageous but not essential. Excellent written and spoken English is essential. Please note that our Oxfordshire Studio is in the rural hamlet of Clifton, therefore candidates would need a car to travel to the office as there is no public transport available. Remuneration will be commensurate with experience and includes bonus opportunities. The Dubai position enjoys a tax free environment subject to personal taxation circumstances. 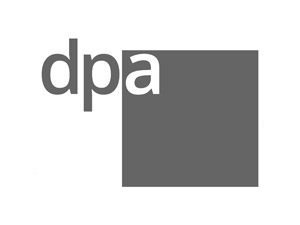 For further details about dpa, please refer to our website: www.dpalighting.com. to Elizabeth Grundy eg@dpalighting.com. Please clearly state on your covering email which studio you are applying for.